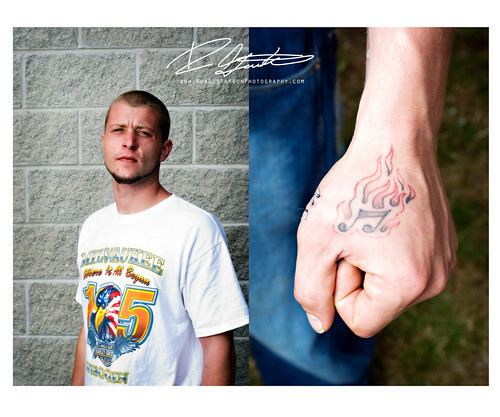 Dane had one of the most basic tattoos of the group. He hopped up on stage to told the crowd what it ment to him. It represents the fire that burns from with in when he proforms his music on stage. He then told everyone that when he grabs the mic, he spits fire..... Great tat!